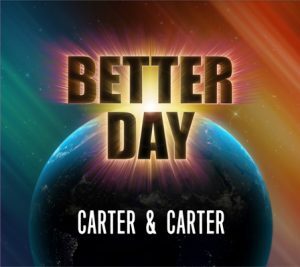 Husband and wife duo David and Merelyn Carter have been writing, recording and performing their respected brand of family country pop rock for almost 20 years. From their ‘homestead’ in the Victoria central highlands town of Kinglake, the duo have toured extensively across the country and hold a highly respected place at the top of Australian Country Music ‘stardom’! But the couple could not have their feet planted more firmly on the ground. While their music speaks volumes in itself, David & Merelyn have built their reputation on supporting their peers, building relationships and encouraging the current & next generation of performers through their off-stage activities, including the workshops they run from their homestead which came perilously close to being destroyed in the Black Saturday Bushfires of 7 February 2009. 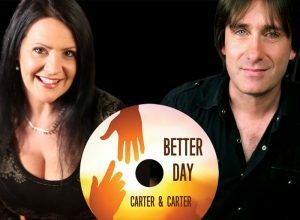 ‘Better Day,’ David and Merelyn’s latest album, released at their spectacular show in Tamworth on Australia Day 2017 is a further step forward in the progression and development of a combination that many would have claimed were already at their peak, providing further proof (if that was necessary) of the couple’s already impressive contribution and legacy to the industry.